Modular Homes vs Manufactured Homes | Article From Modular Today | Legendary Homes Inc.
How Long is the Process of Building a New Modular Home? What’s Included In The Base Price of Legendary Homes? No they are not the same thing! But if you are in the market for a modular home the salesperson might very well refer to it as a manufactured home. Even though modular homes and manufactured homes are both used as quality year-round homes they differ in many other respects. For instance my friend lives in an old, single-wide manufactured home, which is alot closer to a trailer than a typical home. Mobile homes trailers are the very old manufactured homes which still exist (talk about strong quality) but are not very common or popular today. Manufactured homes including the rare old mobile home trailers, will often find permanent residence in a trailer park or manufactured home community; whereas modular homes can be placed on a plot of land in almost any neighborhood that passes state and regional bylaws. The difference between modular and manufactured homes is often in the permanence. For instance modular homes are placed on a permanent foundation; whereas trailers, or manufactured homes are built on a steel chassis with wheels attached. This is so the trailer can be moved or towed. Almost always the wheels are removed and the manufactured home exteriors are finished to closely match the look of traditional homes. It is possible to reattach the wheels and move the manufactured home in the future. In addition, if you plan to build a modular home and transport it to a land plot, the land you want to build on might be subject to restrictions. Please check with your state and regional building laws before you buy! 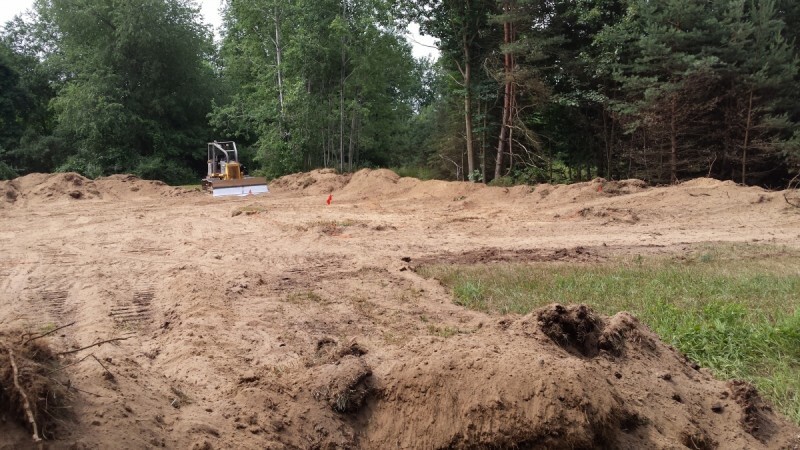 An occasional issue with modular home buyers is not having enough setback clearance on their building site to place the large size modular home they desire. Also, manufactured homes and modular homes have differing resale values – and if you were selling your home you would want to get top dollar for what it was worth – wouldn’t you? Modular homes typically have much better resale value than manufactured homes built on a steel chassis according to the HUD building code. Often referred to as factory-built (or pre-fabricated) homes. Modular homes come pre-built in sections from the factory. 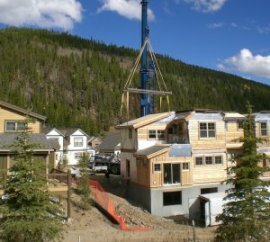 Modular homes are then transported to the building site on truck beds, and set together usually by a large crane and construction workers at the building site. They are finished on location, and must conform to all local, state or regional building codes. 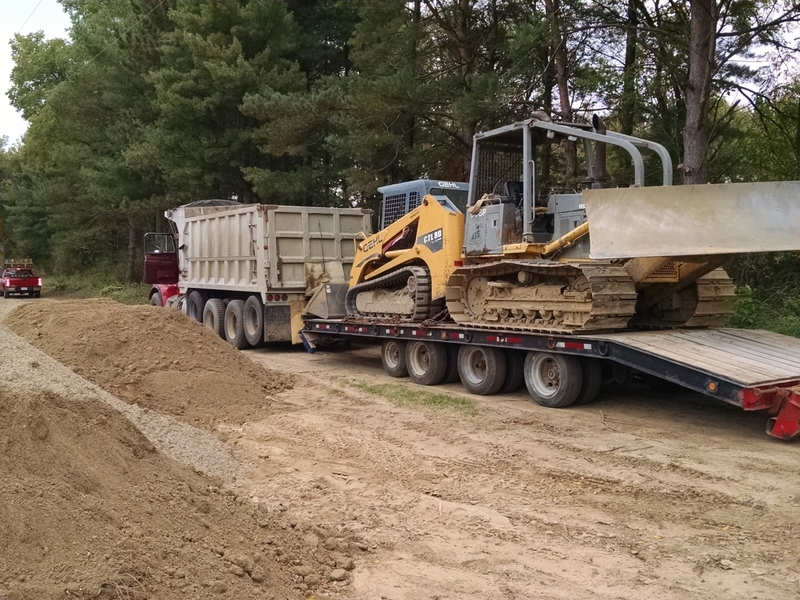 After the contractor places the modular home on site and completes the finishing work, a local building inspector will visit the site to inspect the home to ensure its construction adheres to the state or regional requirements and that all finish work was completed safely and up to standard. Modular homes are placed on a permanent foundation at the building site and often have full basements. Modular homes are sometimes used to expedite the creation of planned communities or large residential projects like college dormitories. Modular homes are typically larger than manufactured homes – they have full kitchens, bathrooms and bedrooms, washer and dryer hookups. Many even have fireplaces and dishwashers. Modular homes are typically more expensive per square foot than manufactured homes. The home equity of a well-built modular home will continue to grow in value over time. Upgrades can also be added like sun rooms, gas fireplaces, porches, garages, etc. Manufactured houses are pre-constructed completely in the factory on a permanent, fixed steel chassis. Manufactured homes have wheels which are typically detached once the unit is towed to the residence. Manufactured homes typically have skirting/siding around the bottom of them to hide where the wheels were removed and to give it the appearance of a typical home. Manufactured homes must abide by a Federal HUD building code. Once built the manufactured home (typically 1-3 units) is moved to its final residence using their own wheels. Manufactured homes remain on their steel chassis, and do not have basements. Theoretically they can be moved but that rarely happens. Manufactured homes often face special residential zoning restrictions which can limit their placement. Some families use the old and smaller manufactured homes for mobile vacation homes. Mobile homes technically are manufactured homes but are very different when compared to today’s manufactured homes. Building inspectors are sometimes called in to inspect the electrical and propane gas hookups, but trailers do not need to pass a building code for occupation. Manufactured homes are generally less expensive than modular homes. Manufactured homes are often a little harder to finance and generally decrease in home equity value. Wed, Thurs, Fri 12 pm to 5 pm and Saturdays 10 am to 2 pm. My wife and I were blown away by the Legendary Homes website. Todd has done an outstanding job displaying so much information. We met with Todd and his wife at the model home and were very impressed with the home. They were extremely friendly and knowledgeable. We look forward to working with them in the future. Todd was very helpful and knowledgeable! We had many questions that he was happy to answer! Just a quick informational meeting for me!! All was great! Received the info I was searching for!! Todd did a great job answering all of our questions. The model home was absolutely beautiful! Had lots of information about their beautiful homes and tons of options on everything great service! My wife and I had a meeting with Todd, going over homes and price lists. We both came away from the meeting hoping we can find some land so we can build our future home. Todd was a pleasure to meet with...We've been looking for quite some time to purchase a home, but this seller market has been tough, so we decided to look into modular homes. Todd was able to get us into a consultation quickly, answered all the questions we had for beginners, broke down the pricing and potential unanticipated costs, and presented us with a great deal of material to go home with and review. Eventhough we were able to get an offer accepted on a home within a couple days of meeting with Todd, we will definitely be considering a modular home with Legendary Homes for our future purchase. Thanks Todd! I cannot say enough good things about Todd Rutledge & Legendary Homes. I was frustrated with the running around, people trying to take advantage of my lack of knowledge and the time that I had to spend researching what I needed to do in order to make my move a reality. Then I found Todd. He gave me the information & tools that I needed, he understood & worked with my budget & he showed great professionalism. He was timely & considerate. But most of all, he showed great integrity. I know that I can trust him to look out for my families best interest. He went above and beyond. Thank you Todd!! I appreciated Todd taking the time to speak with me at the model house about the various options and things to consider when building a home. He was clear, direct, and easy to work with. 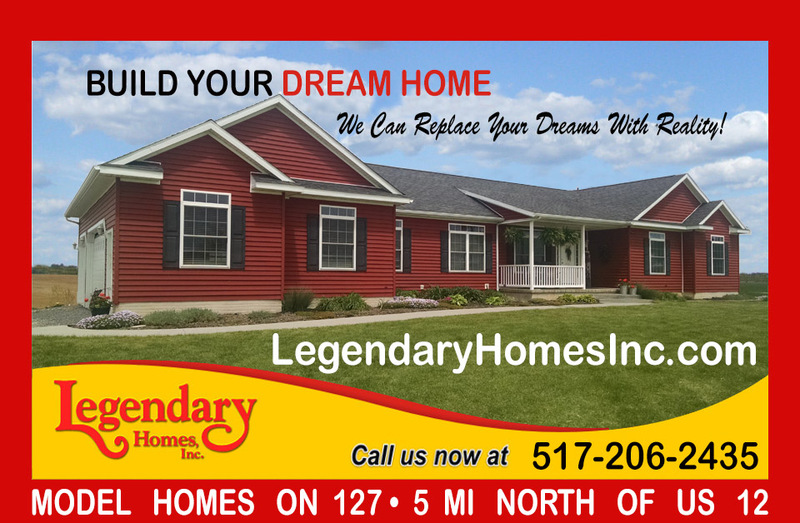 Legendary Homes works with Redman Homes, which offers solid construction and just a few decisions to make in terms of finishes. For those who get analysis paralysis, this is a blessing! Definitely worth a look if a solid, simple home is the goal.